I started writing this post after FOSDEM, but never actually managed to finish it. But as I plan to blog about something again “soon”, I wanted to get this one out first. So let’s start with FOSDEM – it is awesome event and every open source hacker is there unless he has some really huge reasons why not to come (like being dead, in prison or locked down in psychiatric care). I was there together with bunch of openSUSE/SUSE folks. It was a lot of fun and we even managed to get some work done during the event. So how was it? We had a lot of fun on the way already. You know, every year, we rent a bus just for us and we go from Nuremberg to Brussels and back all together by bus. And we talk and drink and talk and drink some more…. So although it sounds crazy – 8 hours drive – it’s not as bad as it sounds. How does it work? Simple. You need to install it (will speak about that later) and run it. It’s command line tool and it doesn’t need any special parameters. All you need to do is to run etc-update as root (to be actually able to do something with these files). And the result? What I usually do is that I select configuration files I do care about, review changes and merge them somehow and later just use -5 for everything else. It looks really simple, doesn’t it? And in fact it is! 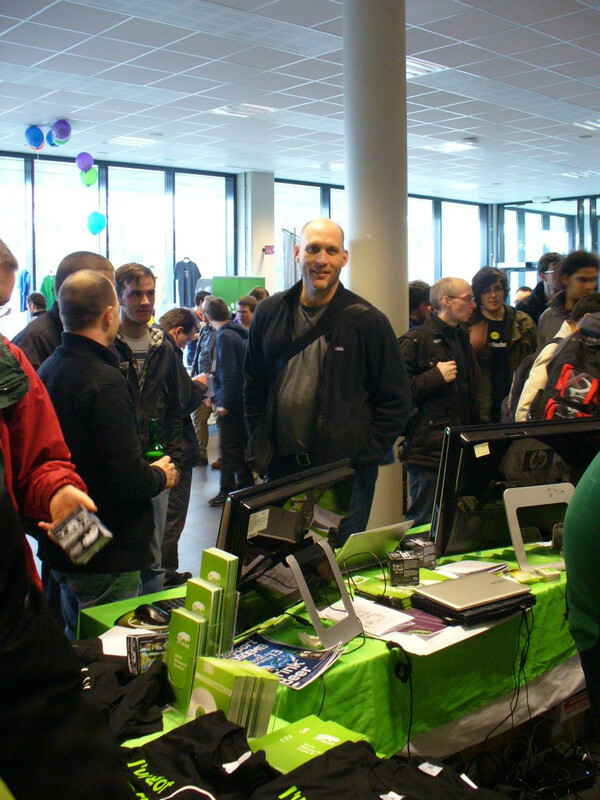 Somebody asked a question on how to merge updates of configuration files while visiting our openSUSE booth at FOSDEM. When I learned that from Richard, we talked a little bit about how easy it is to do something like that and later during one of the less interesting talks, I took this Gentoo tool, patched it to work on rpm distributions, packaged it and now it is in Factory and it will be part of openSUSE 13.1 😉 If you want to try it, you can get it either from my home project – home:-miska-:arm (even for x86 😉 ) or from utilities repository. dispath-conf is so much better than etc-update. Not sure if you knew about dispatch-conf? Hah! It only took ten years for SUSE to fetch up. Should have been etc-proposals of course, though! The server failed the authenticity check (michal.hrusecky.net). Another common reason not to be there is being an OpenSource hacker living in America, Asia, Africa or Oceania. The planet has gotten quite large since Europeans discovered the rest of the world about 6 centuries ago, you know.